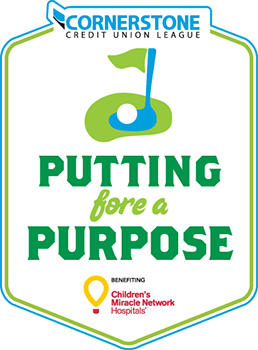 Support our industry's charity of choice, the Children's Miracle Network, at this fun outing. All proceeds benefit CMN. Registration deadline is Friday, March 16. For questions about the golf tournament, contact Courtney Moran at 469-385-6448, or email cmoran@cscuf.coop. For questions about golf registration, contact Cookie Dorsey at 469-385-6635, or email cdorsey@cornerstoneleague.coop. If you have physical, medical, or dietary needs requiring special attention, please contact us for proper arrangements to be made. For more information regarding administrative policies, such as attendance, complaints and refunds, please contact Training & Events at 800-442-5762 ext. 6630, or Corina Balsells at 800-442-5762 ext. 6642.